Nobody wants to face foreclosure, but for many California families it often becomes a reality that they must face. Those facing foreclosure are often desperate to stop the process, and that desperation often causes them to latch onto anything that offers some kind of hope in stopping the foreclosure process. When you are desperate for help, you are more prone to fall victim to a foreclosure scam. The worst thing you can do is avoid your lender, which is what most homeowners facing foreclosure end up doing. If you are having problems paying your mortgage and can provide some proof as to why you are struggling, your lender might be willing to negotiate with you. One of the options that California offers that other states do not is the Homeowner’s Bill of Rights that was passed into law in 2013. These laws give homeowners the ability to fight against aggressive lenders trying to foreclose in bad faith. If your lender is overlooking any of the new rules or regulation passed with these new laws, you can sue your lender to help stop the foreclosure. A loan modification involves negotiating with your lender, but you also have to submit paperwork. Applying for a loan modification is ideal for homeowners who have seen a decrease in their income and don’t expect their income to go back up. A loan modification is going to change the terms of your loans to terms that are realistic for you. The short sale is when your lender agrees to allow you to sale your home for less than the amount owed on the mortgage. The deed in lieu means you simply hand over the title of the property to the bank. Not all lenders will agree to this, as some might think a foreclosure will be a bit more profitable. This should be a last ditch effort, as it can have ramifications for years to come. Filing for bankruptcy will put an immediate stop to the foreclosure process; it will also force your lender to negotiate a repayment plan with you. The bankruptcy gives you a chance to get back on your feet financially without losing everything you own. 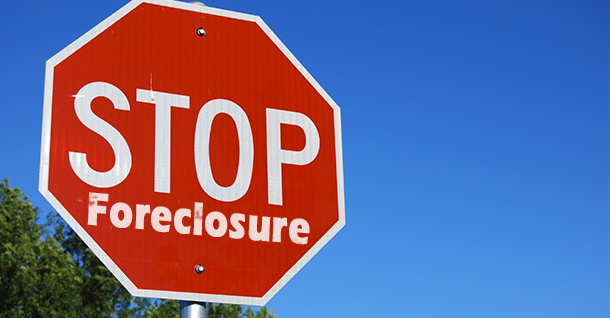 If you face foreclosure, we may be able to help. At 800-BUY-KWIK, we buy homes in any condition, for any reason. Give us a call at 1-800-BUY-KWIK to see if we can help you get out of your California foreclosure.